"The cleaners from Carpet Cleaning New York are much more professional..."
As an apartment building superintendent, it's my job to get the units ready for rental. There are a lot of small jobs that I do myself, but I always call Carpet Cleaning New York for the bigger tasks, like carpet cleaning, and cleaning in the kitchen and bathroom. I used to work with another, cheaper company, but they were unreliable - they crews would show up late and do sloppy work. The cleaners from Carpet Cleaning New York are much more professional - they've never missed an appointment with me and they do such a good job, the new tenants think they're moving into a newly decorated apartment. I've had a lot of carpets, bathrooms and kitchens cleaned and I can say, without a doubt, Carpet Cleaning New York gets the job done right. "they took care of the urgent issues and helped us come up with a plan..."
We were sitting in the living room when the fire started in one of the bedrooms. We were lucky enough to have suffered relatively light property loss, but still had quite a bit of smoke damage to deal with - the carpets, the walls and the furniture. I don't remember if it was the insurance adjustor or one of the firemen who recommended Carpet Cleaning New York, but I'd like to find that person and say thank you. We called Carpet Cleaning New York's 24/7 emergency hot line and they arrived at the premises in record time. Then, they took care of the urgent issues and helped us come up with a plan for fire and water damage restoration. Thanks to Carpet Cleaning New York we were able to salvage quite a bit of our furniture and restore our home to its pre-fire condition. I still use Carpet Cleaning New York when I need heavy-duty cleaning. "highly professional and they've got a good eye for detail..."
I am a professional interior decorator with over twenty years in the business. Some of my clients have unlimited budgets, and others have shoestring budgets. Whatever the case, I always recommend that they use Carpet Cleaning New York to keep their interiors looking good. Carpet Cleaning New York is highly professional, and they've got a good eye for detail. When they contract a job, they always send someone for an onsite inspection and provide a reliable, detailed estimate. It has been my experience that they always show up on time, and they bring all the necessary equipment. On occasion, I've has some special requests and they go out of their way to ensure my satisfaction. If you want to make sure that your interior design elements look their best, have Carpet Cleaning New York clean them for you. "He set up a schedule and gave me a very reasonable estimate..."
When the doctor told me that my daughter had asthma, I thought I'd have to remove all of the wall to wall carpeting in the house. I was worried that dust buildup in the carpet would cause her to suffer. My decorator, however, suggested that I consult with Carpet Cleaning New York before taking such a drastic - and expensive - step. A representative from Carpet Cleaning New York came over for a consultation. He told me about the steps I can take to properly maintain the carpets for my daughter's health. He also told me about the steam cleaning process they use, and how it helps eliminate some of the contaminants that could exacerbate any asthma sufferer's condition. He set up a schedule and gave me a very reasonable estimate. When I checked with my doctor, he agreed that this plan could work. All I can say is "Thank you, Carpet Cleaning New York. My daughter is breathing easy and I didn't have to invest a penny in redecorating." "they did such a good job, well, I'm still using the same carpet!..." As a working mom, it's important for me to find the right balance between home and my career. As the kids get older, the challenge of managing their schoolwork and after school activities, finding quality time with them and with my husband, plus keeping the house in order can be overwhelming. Everyone pitches in with the dusting and vacuuming and such, but getting professional help once in a while really makes a difference. I use Carpet Cleaning New York. To be honest, I can't remember how I found them, but I'm so glad I did. 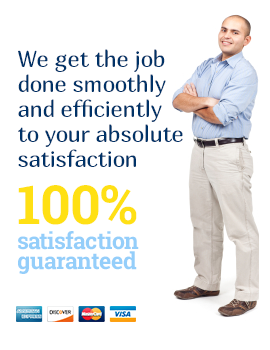 Carpet Cleaning New York provides me with honest, courteous cleaning services. I first used them to remove stains and odors left behind by our family pet. I was ready to throw the carpet out, but they did such a good job, well, I'm still using the same carpet! Since then, I've used them to steam clean my furniture and wash all the windows and window treatments.